Healthcare organizations are under constant pressure to provide top-quality patient care. They also have to manage ever more sophisticated healthcare systems, such as hospital information systems (HIS), lab information systems (LIS), etc. In addition, they have to process a growing number of documents on a daily basis. These documents can be in paper or electronic format and reside either inside or outside of their IT systems. How can healthcare professionals, working in such complex environments, take control and stay in control of all these documents? The iGuana Document Management for Healthcare Solution is designed specifically to help healthcare organizations address this challenge. Our solution covers all aspects of a healthcare provider’s daily document-intensive processes. With iGuana, you will be able to digitize and centrally archive all your documents and integrate them into your existing IT systems, daily processes and workflows. These documents include invoices, lab forms, patient medical records, human resource files, supplier contracts, and much more. Your physicians and administrators will always have real-time access to key clinical and non-clinical information to make timely and informed decisions. Our solution is based on over 30 years of experience in electronic document management. A market leader in the Healthcare sector, iGuana (former Allgeier DMS Solutions) has unrivaled expertise in scanning, indexing and archiving huge volumes of documents for major healthcare providers in Europe. 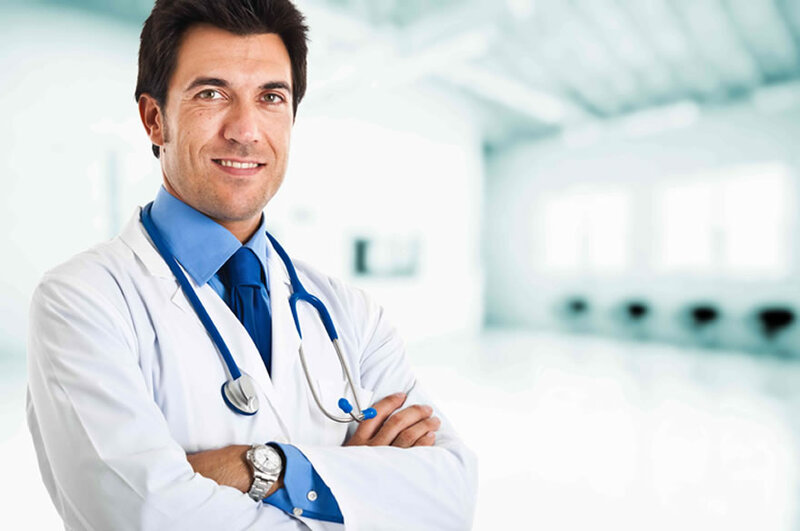 Many organizations would recognize us as trusted providers of the Medical Viewer solution. We understand your business and your challenges and we have hands-on experience integrating with key healthcare IT systems (HIS, LIS, and others). We use our own proprietary document management software, the iGuana iDM Suite, as a basis for all our solutions. This allows us to cater to the specific needs of the healthcare industry. We also provide, install and maintain all the hardware (e.g. scanners) and software you will need to ensure that you receive a truly complete, total solution package from iGuana. Below is a brief description of the key components of the Total iGuana Document Management for Healthcare Solution. Digitize your entire medical records archive – an existing backlog of patient files as well as any new patient documents that you generate on a daily basis. All files are scanned directly into the iGuana iDM (Medical Viewer) software and classified within the patient’s electronic medical record (EMR), which you can access via your HIS. Through integration with your appointment scheduling system, you always know which patient files need to be scanned first. This means you can go paperless on Day 1. Design personalized lab test forms, create new versions of forms, scan, archive and post your forms online for advanced electronic ordering of clinical analyses. Our solution combines all the necessary steps to ensure that data collected from scanned forms are 100% error-free, and that your LIS receives proper instructions to execute lab tests. You will be able to process hundreds or tens of thousands of orders per day – our solution is fully scalable and works even in fully automated, high-volume laboratory environments. Scan all your invoices, extract all necessary data (e.g. supplier name, invoice number, date, amount, VAT), post them directly from your ERP screen and initiate an automated invoice approval process. With a press of a button you will be able to access all archived invoices through your ERP’s familiar user interface and view an individual invoice’s status at any point in time. Substantially shorten your invoice processing and approval times, never miss early payment discounts and execute proper liquidity planning. Digitize and archive all your tax, sick leave, medical insurance and pension contribution forms, employee contracts, resumes / CVs, e-mails, and other human resource documents. Capture data from these documents, securely archive them in a central repository, obtain a unified view of your employees and create a complete electronic file for each. You will be able to maintain all your employee records and related documents in order and ensure security and integrity of sensitive employee information. Centrally archive all supplier contracts, purchase orders and related documents in paper or electronic format, including e-mails, MS Office documents, etc. Create an electronic file for each supplier, accessible with a click of a button. Next time your supplier contacts you, you will be able to easily locate all archived invoices, purchase orders, e-mails, delivery notes, images, and other documents directly from your ERP’s interface with a few simple clicks. Below is an outline of services that we offer as part of our total solution package. We have developed standard connectors to major healthcare IT systems (HIS, LIS, etc.) and use an embedded HL7 communication protocol, providing a comprehensive framework and related standards for the exchange, integration, sharing and retrieval of electronic health information. Access your archived documents using the familiar interface of your existing systems and obtain a unified, document-centric view of each patient, supplier, employee, or partner. Easily integrate archived documents into your existing workflows and processes. If you wish, you can outsource the often labour-intensive document scanning to our trained iGuana ScanFactory professionals. We can provide anything from high-volume, high-speed scanning (for example, to digitize your patient file archive) to daily invoice and mailroom scanning services. This will free up your time, save you money and allow you to focus on your core business – taking care of patients. As part of our total solution package, we provide you with all the hardware required to scan your documents and advise you which scanners to select based on your particular needs. We also supply technical staff for installation, maintenance and repair of your hardware. We serve as one point of contact for you for all your document scanning and archiving needs, ensuring that you do not need to invest internal resources into managing multiple vendors. Legal and contractual compliance is automatically maintained, whether the specific requirements involve revision-proof archiving, protection of sensitive data from unauthorized access, compliance with retention policies, or controlled destruction of data according to privacy rules. Encryption of documents, integration of electronic signatures, plus access and change logs provide extra levels of security and prevent manipulation. Take control of all your documents with iGuana DMS for Healthcare.